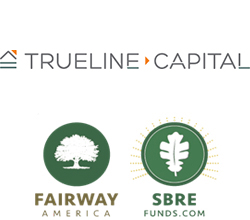 Fairway America, LLC (http://fairwayamerica.com/), the nation's leading authority on small balance real estate (SBRE) pooled investment funds, today announced the launch of its client, Trueline Capital’s new $50M fund, the Trueline Capital Fund II, LLC (“Trueline” or the “Fund”). The Fund focuses on providing much needed construction financing for small and medium sized home builders in the Pacific Northwest. Trueline is managed by industry veteran Chris Maskill and is the latest fund launch from a Fairway America client. Fairway has helped architect and create more than 100 SBRE funds in the past 4 years, including private money mortgage pool funds, real estate ownership funds, distressed debt and property acquisition funds, and more, all over the United States. Maskill understood and appreciated the benefits of leveraging Fairway’s expertise in the space to help him optimize his fund structure and launch. “The Fairway team has been fantastic to work with from start to finish of this project”, said Maskill, “and has really helped us create the structure we were seeking for both ourselves and our investors. Trueline Capital will also be presenting at Fairway’s Small Balance Real Estate Investment Summit at the Montage Laguna Beach in Laguna Beach California on May 19th and 20th. This invitation-only event is open to select fund managers and accredited investors interested in the SBRE pooled investment fund space. Fairway America, LLC is the founder and leader of the “small balance real estate” space providing advisory, administration and consulting services as well as capital investments to SBRE entrepreneurs nationwide. Private money lenders, real estate syndicators and other SBRE professionals rely on Fairway’s expert guidance around the structure, architecture, and administration of proprietary 506 Regulation D pooled investment funds. Fairway’s related entities manage two proprietary funds, Fairway America Fund VI, LLC, and Fairway America Fund VII LP, each focused on the SBRE space. Both funds consider investments nationwide. Trueline Capital’s mission is to provide smart and efficient construction loans and services to builders who need funding with an experience unbridled by roadblocks. With a strong background in cooperative funding models, builder development and project financing, Trueline helps underserved builders fund their construction projects and helps investors earn returns in investments not correlated to the equity markets. Neither Fairway America nor SBREFunds is a registered broker-dealer or investment advisor. None of the Fairway companies perform any activities of a broker or investment adviser, including but not limited to, soliciting investors, providing investment advice, negotiating securities transactions or the terms, conditions or provisions of any offering, or recommending the purchase of securities. This press release does not constitute an offer or solicitation to sell securities in any of the companies mentioned, any funds presenting at SBRE Summit events, or any related or associated companies. Investors must not rely on information provided in this press release for investment decisions.